Machining of aircraft structural components can waste up to 90% of the raw material. Therefore, evaluation of alternative manufacturing processes for those components is crucial for reducing the economic and environmental impacts of manufacturing. 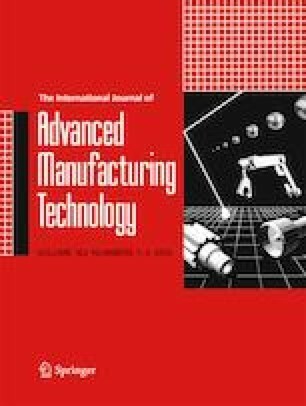 As the shape and material of a component must match the manufacturing process used, it is necessary to perform a redesign for manufacturing in order to compare manufacturing processes accurately. In this paper, an integrated material-design-process selection methodology is developed. Topology optimization, design for manufacturing (DFM) and design for additive manufacturing (DFAM) are used to design components satisfying the same functional requirements but shaped using different manufacturing processes. New selection criteria such as part weight and buy-to-fly ratio are used to rank material-design-process triplets with the analytic hierarchy process (AHP). The proposed methodology is applied to redesign an aircraft component for machined Al7075-T6 and the same component for selectively melted AlSi10Mg powders. Even though the yield strength of Al7075-T6 is 40% greater than that of AlSi10Mg, optimized components for machining and selective laser melting meet the yield strength security factor while remaining competitive in terms of mass. Although the selective laser melted component is about seven times more expensive to produce than the machined one, it remains competitive considering functional and economic criteria. The research presented in the present paper was financed in part by the Fonds de Recherche du Québec – Nature et Technologies funded by the intermediary of the Aluminium Research Centre – REGAL. The authors would like to thank Rio Tinto Aluminium and the Ministère de l’Enseignement Supérieur et de la Recherche Scientifique of Côte d’Ivoire for their support.